As part of the introduction of new branding and an update to YHA's digital strategy, Fantastic Thinking were tasked with creating a iPhone application to work alongside the new YHA website. 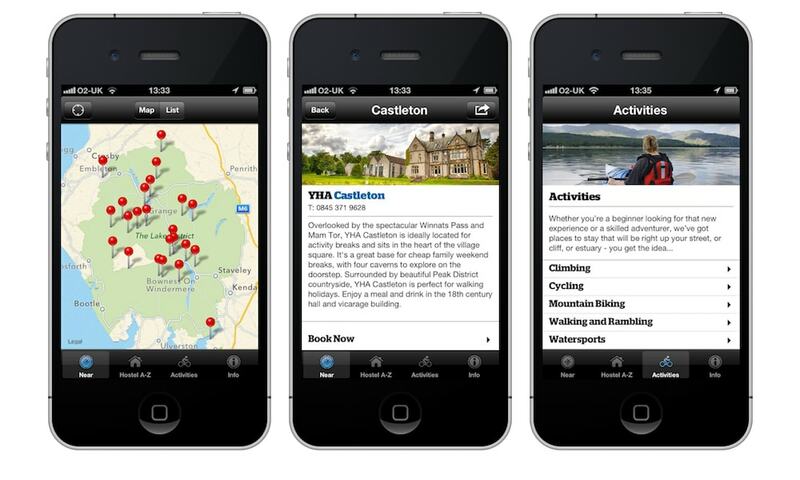 I developed an iPhone application for YHA which would allow those on the move to identify their current location on a map, from which they are able locate their nearest hostel both by proximity and/or available activities. All data within the app was stored within the application, allowing access to data, even in areas with poor mobile data access. The app also allows users to view information about the locality and facilities for more than 200 Youth Hostels, bunkhouses and camping barns across England and Wales, as well as the oppotunity to make bookings by phone.